Voice of Israel radio: Obama's visit is intended to tell Israel – '"don't surprise us with an Iran attack." One of the goals of U.S. President Barack Obama's upcoming visit to Israel is to deliver a message to Prime Minister Binyamin Netanyahu, not to carry out any "military surprises" against Iran while the U.S. in engaged in negotiations with it. Voice of Israel public radio, which reported the matter, says this is what senior U.S. Administration sources told diplomatic sources in Jerusalem in recent days. 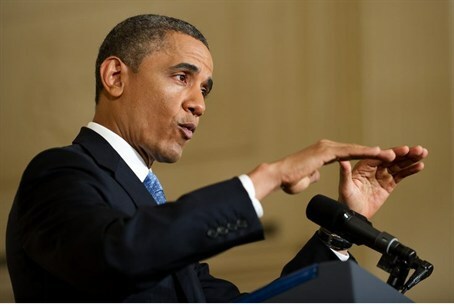 The U.S. Administration sources added that Obama intends to address Israeli public opinion, and assure the Israeli public of Obama's commitment to keep Iran from acquiring nuclear weapons. Voice of Israel radio's political analyst said that the Americans feel that the result of the Israeli elections and "the strengthening of the center parties" have created a feeling that there is "a possibility for diplomatic change vis-à-vis the Palestinians." U.S. and Israeli teams are preparing Obama's visit and are looking into the possibility that Obama will speak before students at one of Israel's universities. The Prime Minister's Office would not tell Voice of Israel whether overtures toward the PA are planned, in advance of Obama's visit.